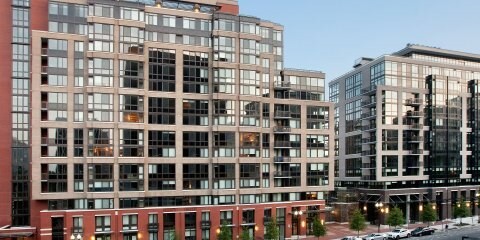 Mid-rise apartment community developed in the heart of Rosslyn, one of Arlington’s “urban villages,” approximately half a mile from the Potomac River. Developed two residential buildings (one 13 stories, the other 12 stories) with ground-floor retail space on an underutilized site in Rosslyn. 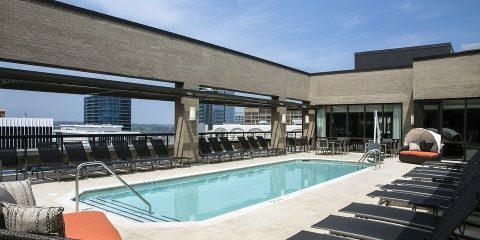 Located three blocks southwest of the Rosslyn Metro Station – which provides light-rail access for commuters to points throughout the Washington, D.C., metropolitan area – and two blocks north of access ramps to U.S. Highway 50/Arlington Boulevard. Immediate neighborhood is pedestrian-friendly with plenty of restaurants, shops and nightlife nearby. Property amenities include two one-site fitness centers; a landscaped, 30,000-square-foot “pocket park” with seating areas and grilling stations; ample bike storage; and a below-grade parking garage. 55 of the apartment units are designated as affordable housing for low- and moderate-income residents. 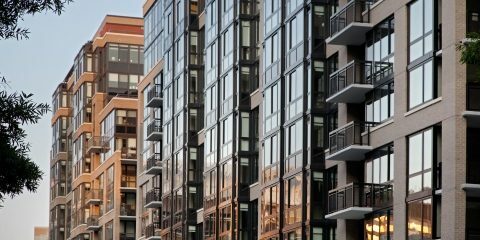 Certified as LEED-Gold buildings under the U.S. Green Building Council’s Leadership in Energy and Environmental Design (LEED) rating system, the first newly constructed residential property in Northern Virginia to earn such a lofty designation. 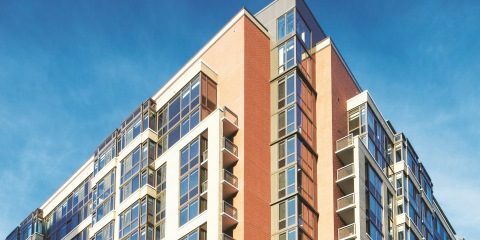 Named Best High-Rise by Transwestern and Delta Associates at the two firms’ 17th annual Awards for Excellence in the Mid-Atlantic Apartment and Condominium Industries in October 2013.